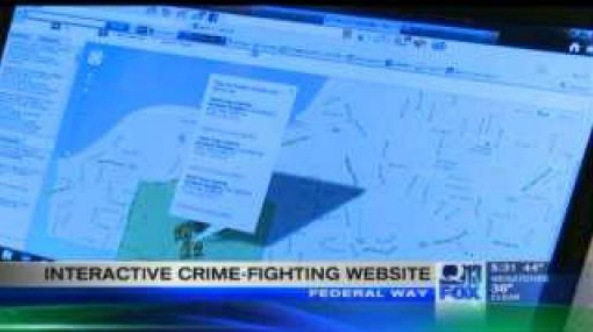 Fighting crime is going high-tech in Federal Way through social media. Homeowners at the Twin Lakes neighborhood are fed up with the large number of house and car burglaries in recent months. Federal Way police say burglaries have increased 100 percent in November, which prompted law enforcement to collaborate with the neighborhood's home owners association to help crack down on illegal activity in the Twin Lakes area. What they came up with is a new, interactive web site -- Safecityfw.com -- which is similar to most social media sites; residents log in and post information. But on this site, residents post information about suspicious criminal activity in their neighborhood. Bob Hill, president of the Home Owners Association, said, "When you get home in the evenings from work, living in Twin Lakes and you want to know what's going on, you are able to log in and see what happened yesterday in your own neighborhood." For instance, burglars broke into three of Hill's cars two weeks ago; using the new, interactive site, Hill immediately posted an alert. Federal Way police Cmdr. Chris Norman, "With predictive analysis, we can say OK, this is a hot spot. Maybe we need to increase patrols in that area because that's where they're hitting right now." 1/26/12 High-tech upgrade to old neighborhood blockwatch .